Victoria Falls is the world’s largest waterfall. It is bordered ​by the Mosi-O-Tunya National Park on the Zambian side and Victoria Falls National Park in Zimbabwe. The towns of Victoria Falls (ZIM) and Livingstone (ZAM) are quaint and historic. The ‘Falls’ are also very close to Chobe National Park, a perfect excursion into Botswana. 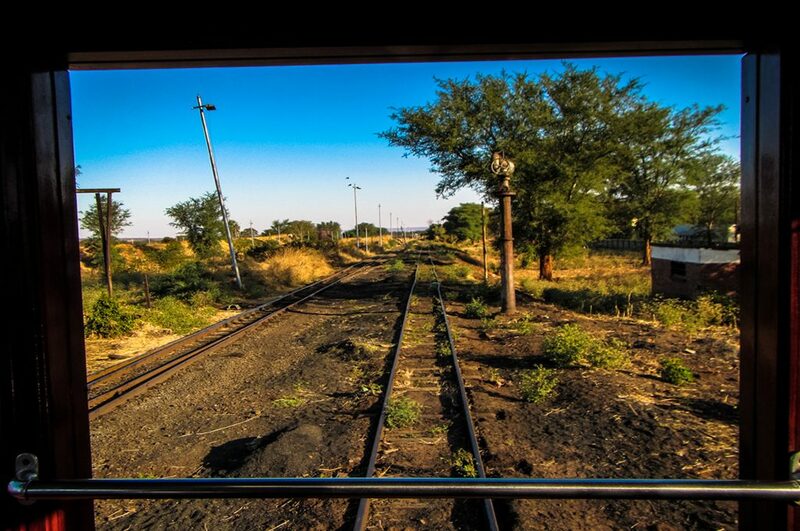 Livingstone is also the home of the Royal Livingstone Express, a fine dining on rails experience that is not to be missed. Victoria Falls is the natural add on to a Zambian Safari or a perfect long weekend escape from South Africa. Lovingly called ‘VicFalls’ the name evokes images of old style African safaris, hats, porters, gin and tonics and black and white etchings of the natural wonders of this continent…. Victoria Falls is also called ‘the warm heart of Africa’ – and when looking at a map of this continent, it does seem to be almost right in the middle. Victoria Falls is a unique spot to visit. Surprisingly easy to reach, it offers the visitor stunning, dramatic landscapes, up close encounters with animals, a chance to experience some thrilling adventurous activities and has easy access to other destinations in Africa. As a choice for a safari trip, it is a perfect destination to include it all. We specialise in tailor made packages including Mosi-Oa-Tunya National Park Safaris, riverside lodges, Zambian culture and onward travel. 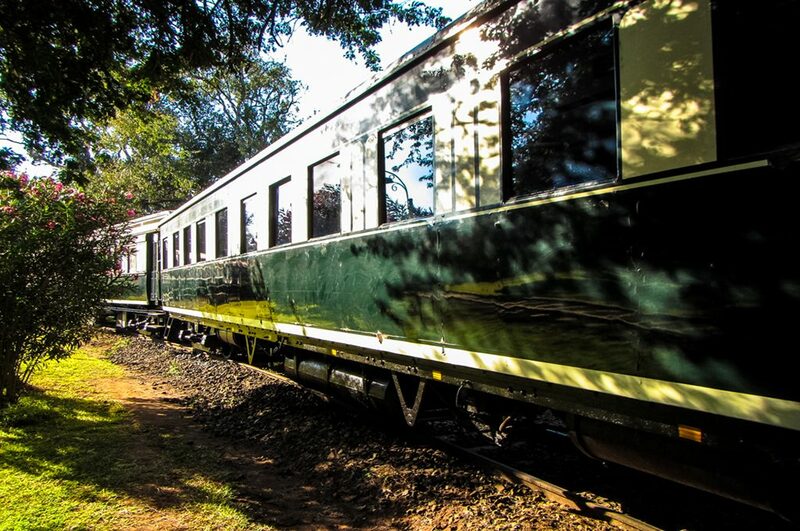 We offer the world famous Royal Livingstone Express, an evening safari through the bush and onto the bridge including a 5star dinner buffet, in the grand old style of Rhodes and his contemporaries. The actual waterfalls of the Victoria Falls divide the nations of Zimbabwe and Zambia. Both have formed settlements on either side of Victoria Falls and her Zambezi river banks and both make a living out of tourism, wildlife, international visitors and the trade that passes the bridge between the towns and nations. In Zambia, the settlement on the edge of the Zambezi river is called Livingstone – after Dr David Livingstone who first named these falls the Victoria Falls in 1855. Livingstone is a quaint colonial town where development seems to have stopped in 1964. It is also home to some excellent lodges on the Zambian side of the Zambezi river. 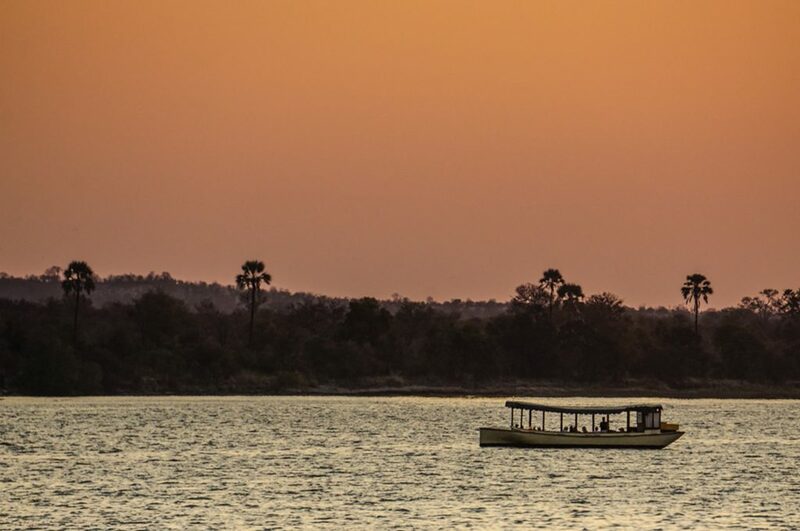 From your lodge you can take river safaris up the Zambezi and see crocodiles and hippos from your steamer, or make a foray into Chobe National Park in Botswana or explore the Mosi-Oa-Tunya National Park. Zambian Safaris in the south of the nation are not as high brow as some of their Tanzanian equivalents, but there is a real feeling of being in Africa here. We specialise in tailor made Southern Zambian Safaris. You can combine these with a safari in South Luangwa National Park if needed. With a mix of attractions Zambia has so much to offer the visitor. The Zambezi is the name of the river that runs roughly north to south and forms the border between Zambia and Zimbabwe. At the chasm in the earth called the Batoka Gorge, it drops over a rock curtain and forms the falls that are called The Victoria Falls. By then, this enormous river has traversed and touched upon the lands of Angola, Namibia and Botswana. After the Victoria Falls, it cuts through Mozambique before finally flowing into the ocean. In Zambia, the river Zambezi runs over a plateau of basalt, with softer weaker sandstone flats. This is where ‘cracks’ have appeared over the course of thousands of years – the famous gorges that are found upstream of the now Victoria Falls. This is now called the ‘First’ Gorge. In reality, this spot where the falls thunder over the edge these days, is simply the latest enormous crack in the earth in a series of switchback gorges; all zigzagging through a flat scrubby landscape. The name Mosi-Oa-Tunya then is the local Bantu name referring to the actual Victoria Falls but is now also the name of the National Park that stretches from the edge of the Falls (the first Gorge), to the town of Livingstone and encloses the banks of the Zambezi river for 20 kilometres upstream, on the Zambian side of the river. This park has 2 sections: the falls itself, and the wildlife part. Both are interlinked, and intrinsically depending on each other. The flow of the river towards the fall feeds and supplies hundreds of square miles of arid bushland with water, food, nutrients, harbouring migrating animal species and even supports a miniature climate system. The name Victoria Falls covers a number of things – the bridge, the falls, the town – but let’s start with the most eye catching human addition to this place of natural African beauty – the bridge over the Falls. The bridge connecting what is now Zambia and Zimbabwe was constructed in England by the Cleveland Bridge & Engineering Company. It was then shipped in its entirety, to the port of Beira, Mocambique and then transported on the newly constructed railway to the Victoria Falls. It took just 14 months to construct and was completed in situ in 1905. The bridge was the brainchild of Cecil Rhodes, (whose name was used to claim the colonies of North and South Rhodesia) and was a vital part of his grand, never-to-be-realised Cape to Cairo railway scheme. Rhodes is recorded as instructing the engineers to “build the bridge across the Zambezi where the trains, as they pass, will catch the spray of the Falls’ – and it does indeed. As with all natural phenomena and especially those around the equator – the seasons are a strong influence on life and nature. The rainy season occurs from late November to April whereas the rest of the year is usually dry. In those months the heat can become intense and downright brutal at the end, just before the rains start. The ‘peak’, also known as the flood season, usually starts from February to May with a peak in its volume around April. The water needs to run the full course of the river, before flooding at the lower banks and forming the Falls at the First Gorge. During the flood season, the spray caused by the falls that is so famous, can reach as high as 400 meters (1300 feet) and can be seen as far away as 48 kilometres! However, when the thundering volume of water is so much, visitors can no longer see the foot of the falls, the façade along the gorges and sometimes, there is so much water that some of the paths and the bridges are closed for safety reasons. At such a time, the curtain of water would form a permanent mist, and at full moon, visitors can experience a moon-bow. The Victoria Falls are the largest waterfalls in the world. This definition and label is based on the combination of the width (1708 metres wide) and height (108 metres high) of the Falls. A staggering average of 1.088 cubic metres per second (that means 1.088 tonnes per second) falls over the edge at Victoria Falls. Walking around, you can feel the ground shake with the power of this force and it is hard to imagine the sounds, rage and vibrancy of this display of nature. With these numbers, Victoria Falls is twice as high as Niagara Falls in America. Only the Iguaza Falls in Argentina / Brazil are larger than this. In sharp contrast to the power and majesty of the wet season and the flooding season, stands the dry season. Now, only 300 cubic metres of water per second flows over the edge. The banks of the river go dry, animals can wade into the water to drink without fear of being swept over the edge and boat cruises have to go further upstream to be able to move. The heat gets more intense, and the tropical rain forest that grows abundantly on the gorge cliffs, has retracted – the spray is no longer enough, and the plants and trees struggle on till the next wet season. Visitors can now, at certain points, even wade through the river to Livingstone Island and swim in small pools on the edge of the highest falls of the world. While the water volume has gone down, in this season, it is possible to see the entire façade (the curtain) where the water would otherwise fall from – the full width of 1088 metres is visible, and the depth of the falls can be seen as the raging river runs below the bridge and footpaths. At this time, rafting tours are on offer, and wildlife boat cruises are a must to do! Mosi-oa-Tunya National Park is 66 square kilometres. The Victoria Falls take up about 23 square kilometres and that leaves about 44 square kilometres dedicated to animal and wildlife protection – this is stretched out for 20 km upstream of the Zambezi river. On the other side of the river, in Zimbabwe, the banks and bushland are also part of National Parks, which means that animals can move freely between both the banks (west and east), and move with the flow of the water running north and south in search of food and shelter. On the Zambian side, fences and the outskirts of Livingstone keep most of the animals inside the Mosi-oa-Tunya National Park. But animals are often seen roaming some of the lush lawns of the lodges immediately near the Falls when the water runs at a minimum and many people are lucky enough to see an impromptu elephant standing by the side of the road, eating a tree – having wandered a little too far. The fauna immediately next to the Falls itself, is a typical tropical rainforest – the huge amount of water and year round moist air allows a unique flora to flourish here: this small area contains plants that are very rare for the area such as pod mahogany, ebony, ivory palm, wild date palm and a number of creepers and lianas. Moving only a 200 mtrs away from this source of water, you will see the typical sub equator bushland appear: mopane woodland savannah predominates in this area, with patches of miombo and Rhodesian teak woodland, mixed with scrubland savannah. The two parts of this tiny National Park contains abundant wildlife and offers a fantastic daytour to spend on viewing big game. The back drop of the river, the constant roar of the Falls during the wet season and the scent of wet air in a dry bushland all add to the excitement of this place. Animals that can be spotted in the Mosi Oa Tunya Park include small herds of elephant, buffalo, giraffe, Grant’s zebra, and a variety of antelope. Some resident prides of lions, African leopards and South African cheetahs are known – but only very occasionally seen. Vervet monkeys and baboons are common. While on a cruise on the river or even while sitting on the lawn of a river lodge – pods of hippopotami and stealthy crocodiles can easily be spotted. The river above the Falls contains large populations of hippopotamus and crocodile and African bush elephants cross the river in the dry season at particular crossing points to avoid these hungry predators. An interesting set of inhabitants of the Mosi Oa Tunya wildlife park, are the white rhinos that are living in the park. These are not native to this region, not even to Zambia – Zambia formerly only had black rhinos but they were hunted to extinction. The white rhino living in the park have been introduced from South Africa as Zambia has shown so much promise in protecting these wonderful creatures. A special note on Avifauna: due to such an incredible diversity of ecosystems and available food in such a small area, the list of bird species that can be spotted is impressive- the gorges of the Falls are known to sustain a staggering 35 species of raptors alone. A few of these are the Taita falcon, black eagle, peregrine falcon and augur buzzard. These large birds of prey all breed in the Gorges itself. In the upstream region (so above the falls) groups of herons, fish eagles and numerous kinds of waterfowl are commonly seen. Kingfishers are a delight to spot and the whole family can be ticked off. Every morning and afternoon, the distinctive cry of the African Fish Eagle can be heard – this majestic bird and its call are one thing that will surely stay with you while visiting the largest falls in the world – The Victoria Falls in Zambia.